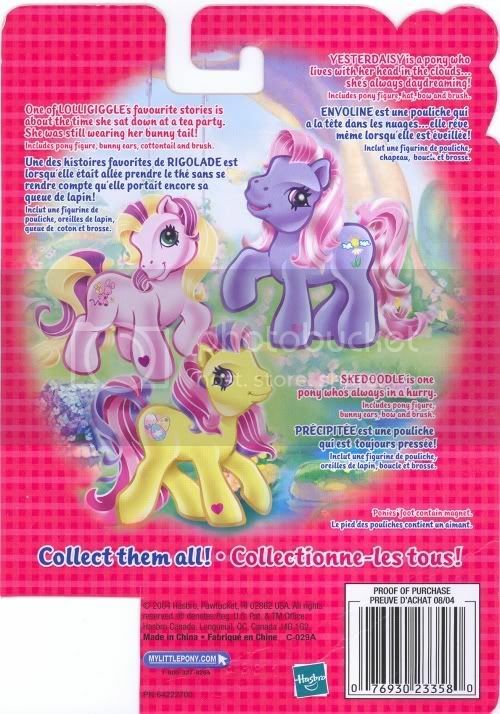 Dazzle Bright backcard from Canada. 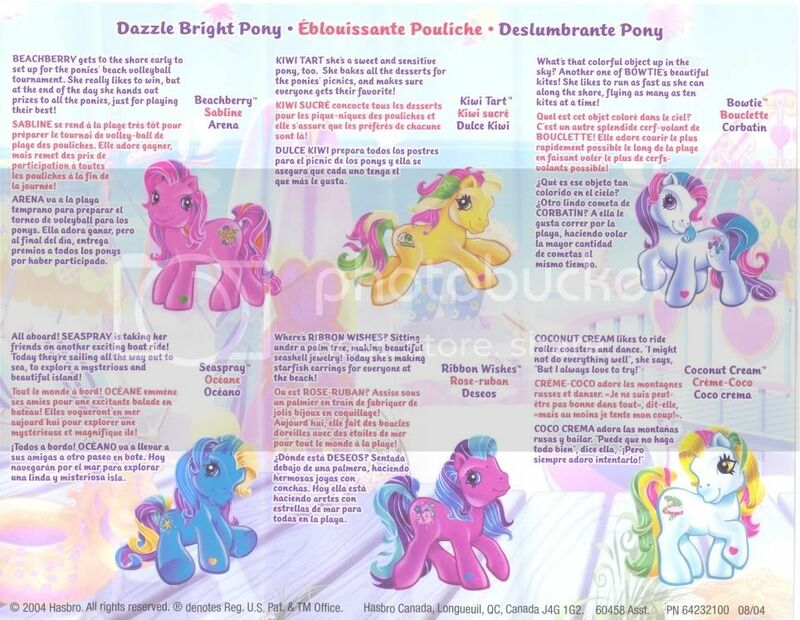 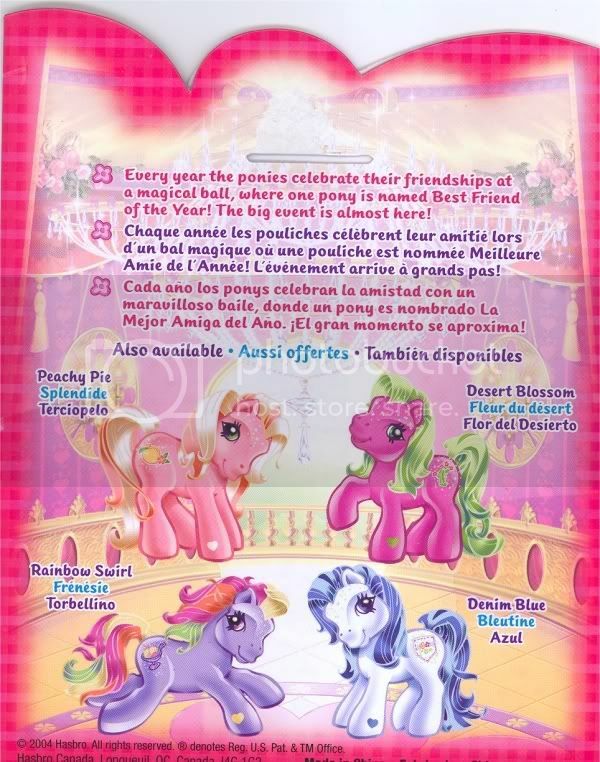 A fold-out included with Canadian Dazzle Bright ponies, featuring all the backcard stories on one sheet! 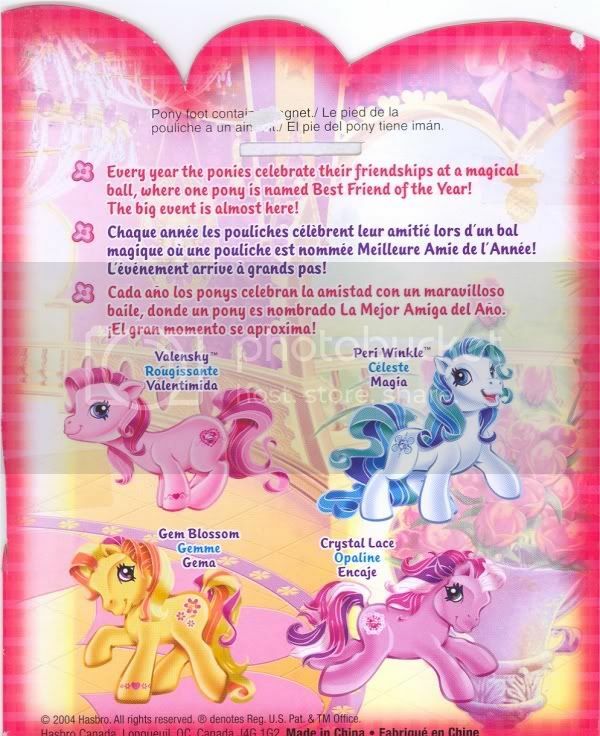 Jewel pony, set one, backcard image from Canada. 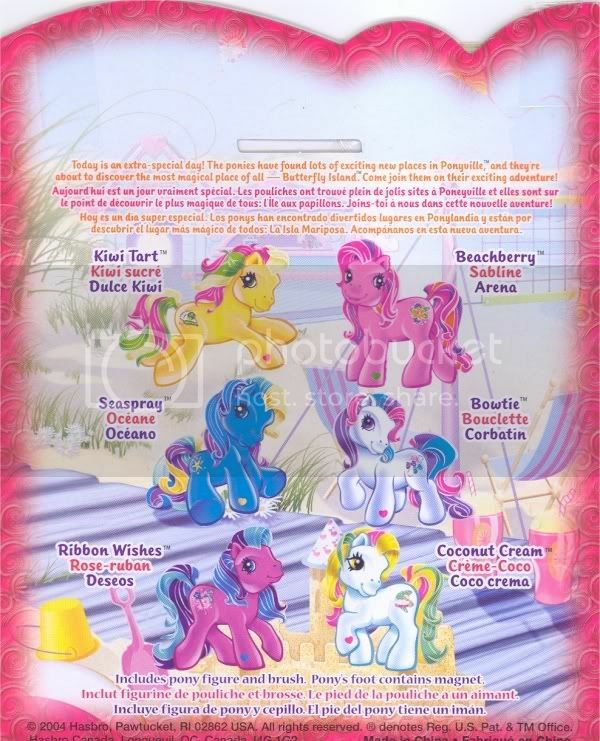 Perfectly Pony backcard from Canada, featuring Triple Treat, and more! 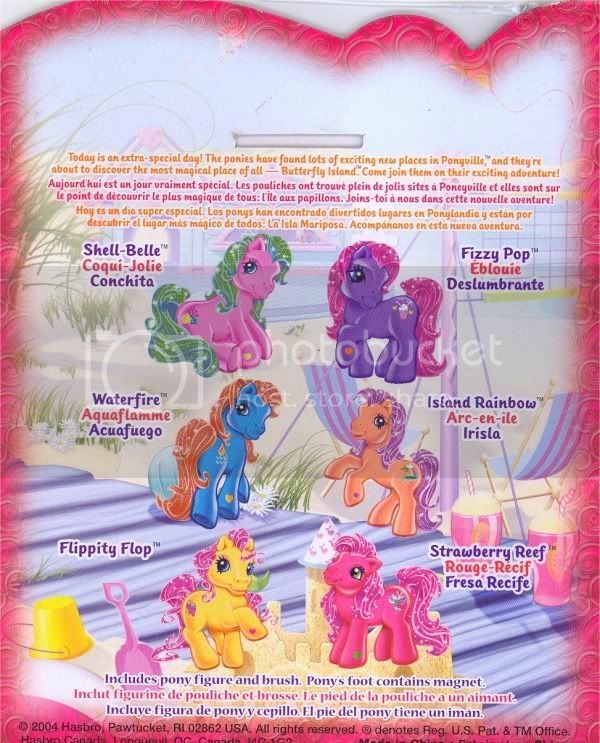 Shimmer pony backcard, featuring the entire first set of Shimmer ponies (from Canada). 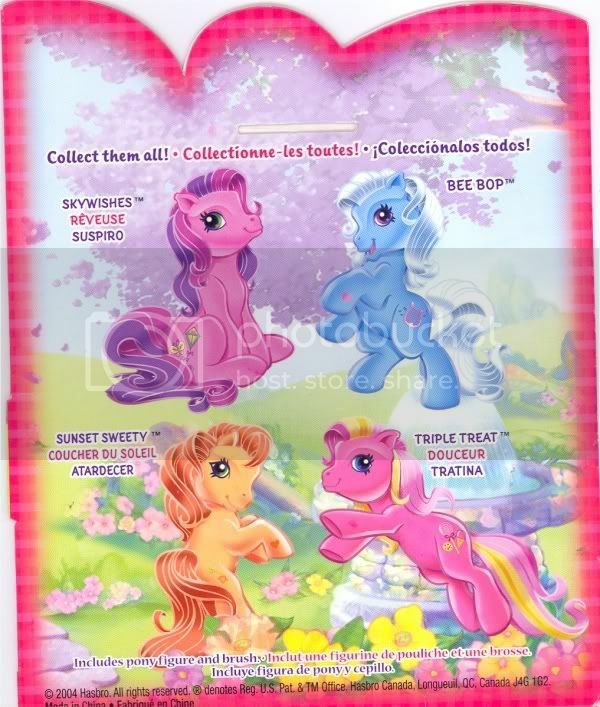 Sparkle pony, set one, backcard, from Canada.